real Vintage 50s 60s Camee Victorian one of a kind! 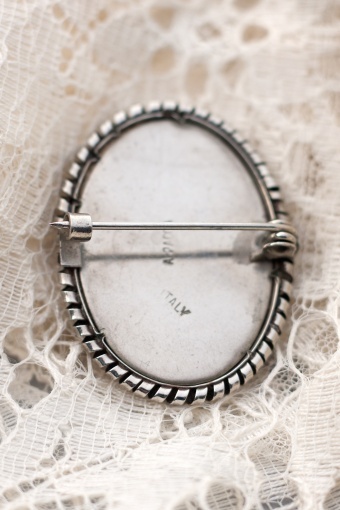 « Back | TopVintage » Accessories » Brooches » real Vintage 50s 60s Camee Victorian one of a kind! Petra Reijrink hand-crafted jewellery! This is a real vintage camee from Italy, era 50s 60s. 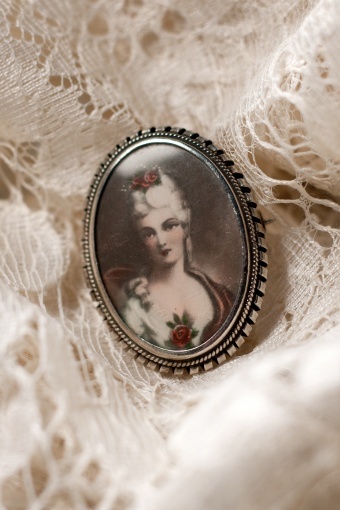 A lovely Victorian lady in mat silver frame. This is a vintage item with some light wear.